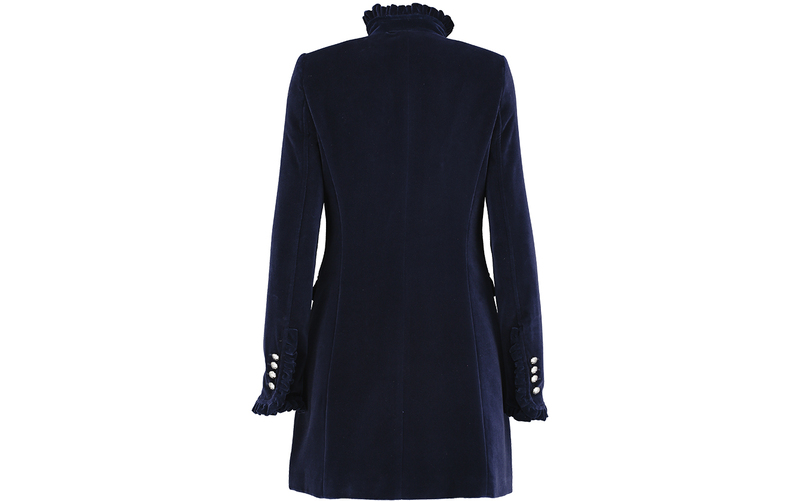 This Beatriz Navy Velvet Coat is an absolute classic look for the winter months and beyond. 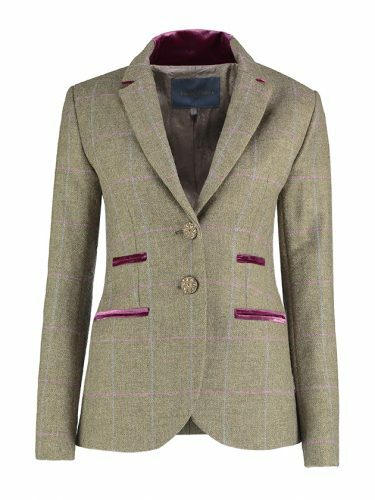 It is beautifully tailored to give a neat fit and finished to the highest standard. 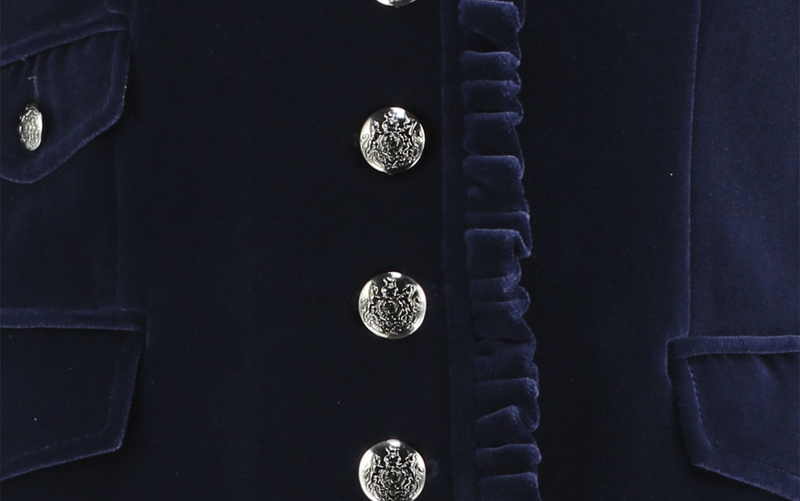 Fantastic and elegant soft navy velvet fabric with contrasting soft pewter buttons to add a touch of glamour. 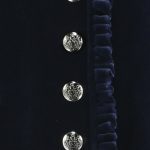 Gorgeous pinch pleat detailing around the front and cuffs, to add just sufficient interest, also great collar and pocket detailing. 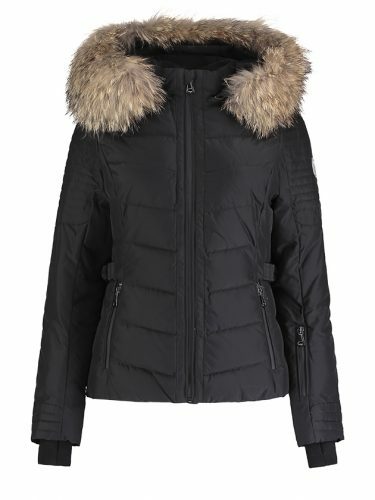 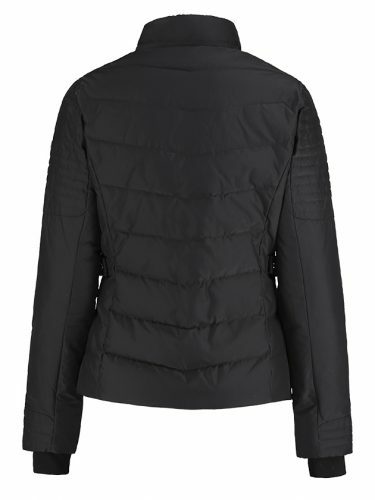 This jacket offers a very sleek and feminine look. 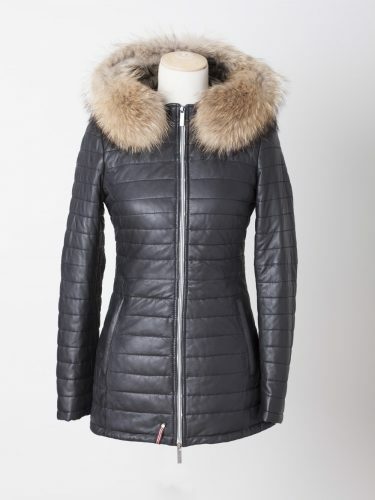 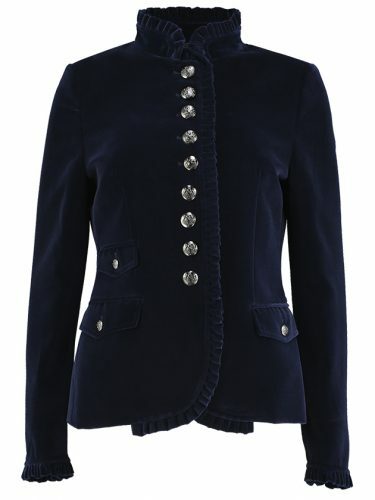 Fabulous shape and classic design, all make this little jacket something very special, but very wearable. 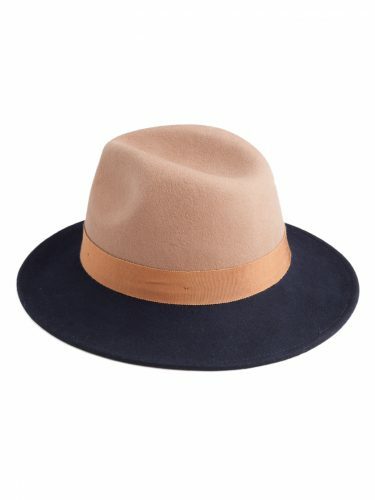 A great addition to any wardrobe, it can be dressed up or down, perfect with a shirt and jeans or a smart dress and heels. This women’s jacket is a very useful piece that will always look smart, it can be worn to a variety of events or just when you feel like it. 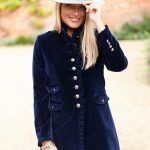 A truly wonderful Beatriz Navy Velvet Coat that looks elegant and smart. 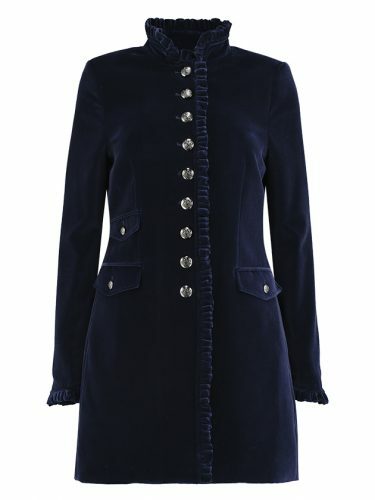 A very flattering fit, a great investment piece to wear again and again. 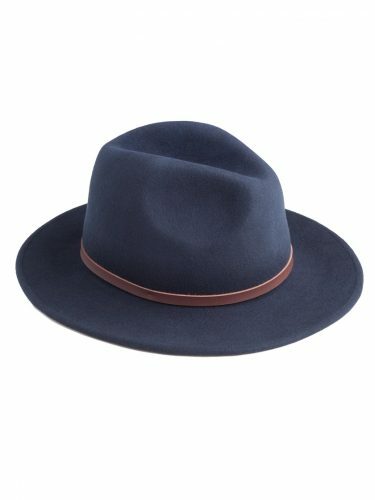 A must have in any wardrobe! 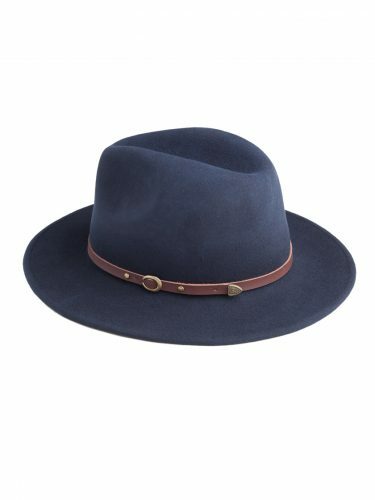 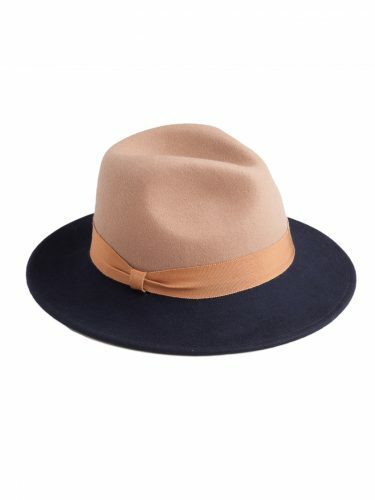 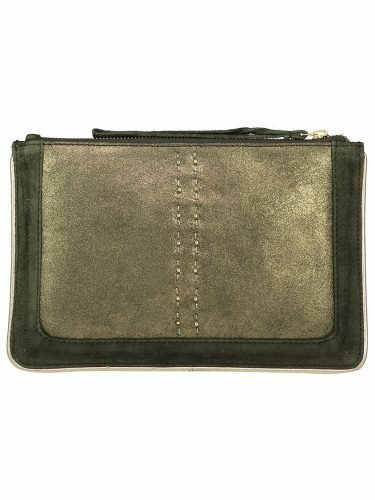 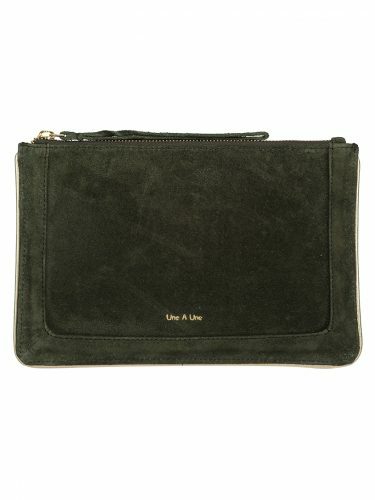 We love ours styled with one of our Fedora hats, a Pretty Suede clutch and jeans…easy and very chic!